The Registry, created in 1989, is located in Helena in the Department of Justice. In creating the Registry, the Legislature acknowledged that there is a compelling interest in providing the public with information about people convicted of sexual and violent offenses. This information can help citizens protect themselves and their children from sexual and violent offenders. Guidelines on offender notification services to communities. 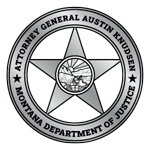 Statistics and reports for sexual and violent offenders in Montana. The online Sexual or Violent Offender Registry is generally available 24 hours a day, seven days a week, except for occasional system maintenance, which is usually noted in advance on the Disclaimer and Notices page. The Registry's search and reports functions are unavailable for approximately 10 minutes at 4:40 a.m. (Mountain Time) while the database is updated. Offenders who reside at multiple addresses are required to register their primary residence and any additional addresses. The same offender may therefore appear in the search results for different cities, counties or zip codes. An offender may be only an occasional resident at additional addresses listed in the Registry.